Puzzle & Dragons: Super Mario Bros. Edition tops software sales. 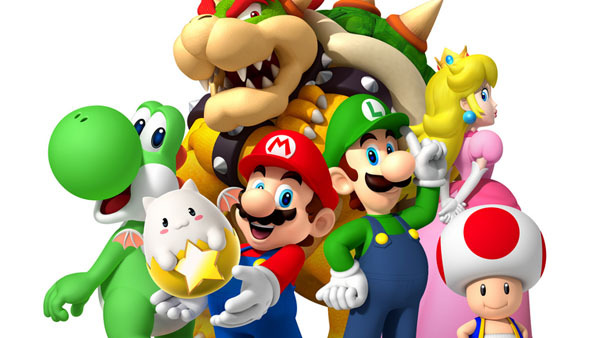 Puzzle & Dragons: Super Mario Bros. Edition launched as the top selling software during Golden Week in Japan. The 3DS crossover sold a total of 180,000 units. Dragon Quest X Version 3 and Xenoblade Chronicles X followed, debuting at 99,000 and 85,000 units sold, respectively. Together, the pair pushed Wii U sales from 7,000 units last week to 23,000 this week. Saekano, ToHeart2: Dungeon Travelers, and Operation Babel for PS Vita were also new this week, with each game’s sales ranging from 8,000 to 11,000. The rest of the hardware sales remained largely the same, with most platforms seeing a slight boost, outside of PlayStation 4 and PS3, which decreased 1,000.